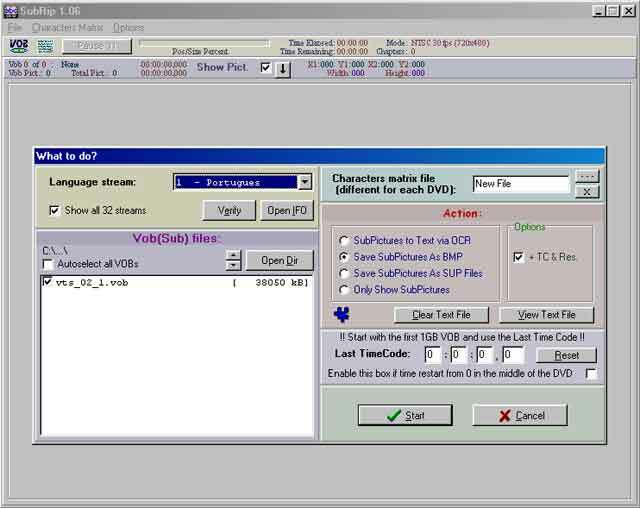 Want to add subtitles to your VCDs, SVCDs and CVDs — including KVCDs and SKVCDs — then follow this quick guide. 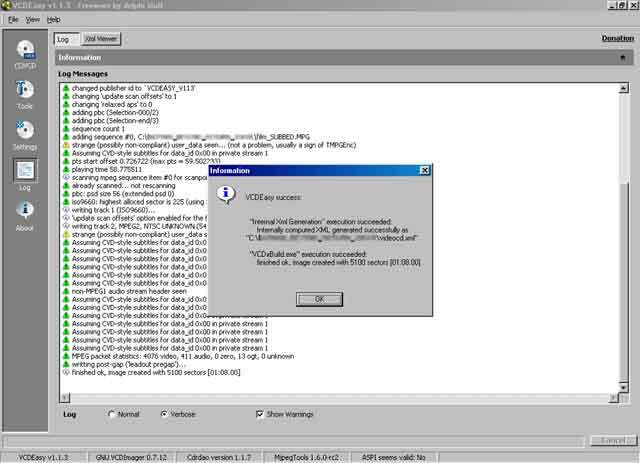 The guide requires the freeware tools SubRip and WinSubMux. First, rip the DVD as usual. Then you use SubRip to rip the subtitles. 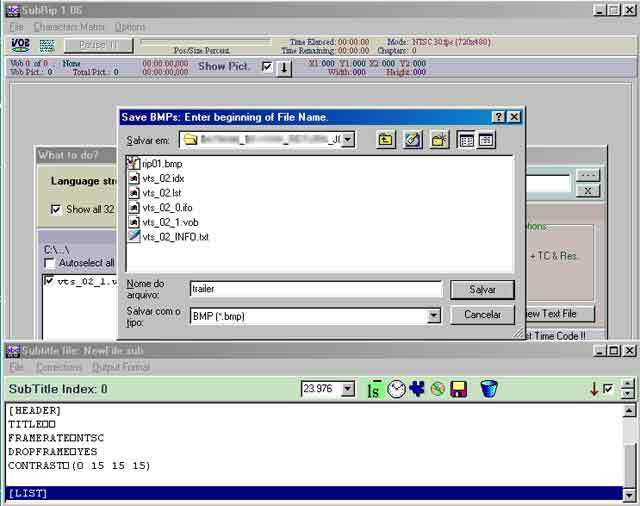 Select the appropriate IFO, VOBs, and language. Make sure “Save SubPictures As BMP” is checked. Click on “Start” and you’ll be asked for a directory to save the bitmaps and a base name for the bitmaps. For example I named it “trailer” so the file names will be “trailer00001.bmp”, “trailer00002.bmp”, etc. 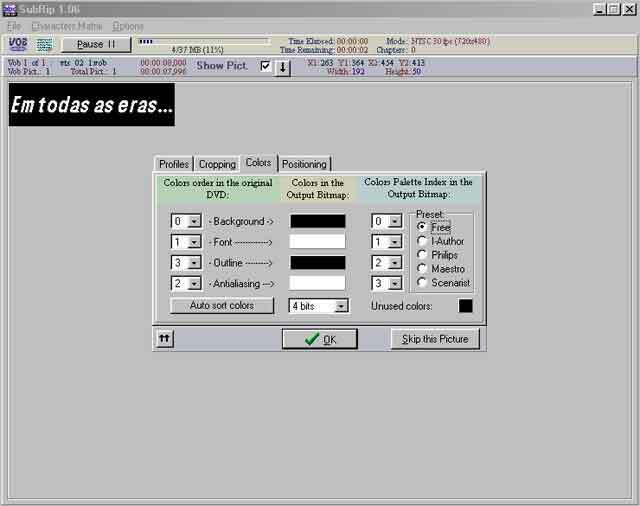 Next, you chose the colors of the bitmap. You can use one of the presets or set it to your liking. If “Show Pict.” is checked you can preview your choice (and confirm that the language is correct). After a while, when the ripping is completed, Select “Output Format | Set Output Format”. Select “Philips SVCD Designer (*.sub)”. Leave “Use colors from bitmap” checked, and ignore the FrameRate box and the warning about 4 bit bitmaps. Then, “File | Save As” to save your .sub file. This is how the .sub file looks. Delete everything except the .bmp lines and save the file. This is important or you’ll get an error in WinSubMux later. Look at the directory where the bitmaps where saved and write down how many bytes the subs take. You need this to calculate the video bitrate (file size estimation). Now you encode video and audio as usual. You need to mux video+audio as SVCD (you can mux two audio streams if you want). Open WinSubMux. Input MPEG file is the muxed file from the step above. Stream #0 is the .sub file with kust the .bmp lines. Click on “Load All”. “Time adjustment” is useful if you’ve split the video file for two (or more) CDs when you muxed. 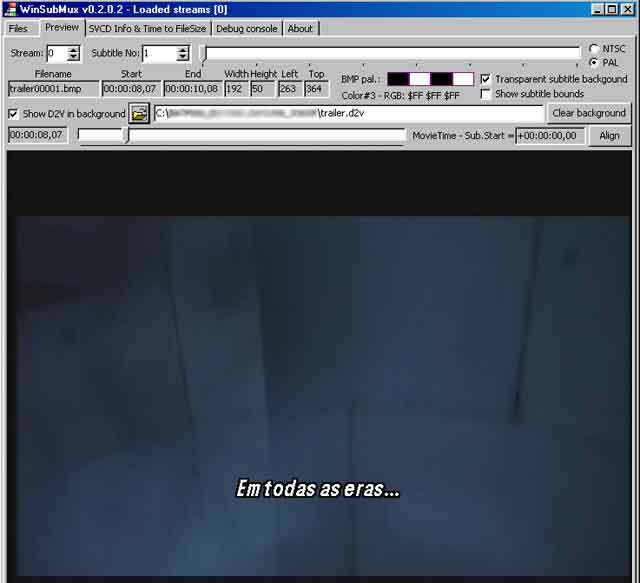 Select the kind of subtitle your player can handle (CVDs or SVCDs). You can preview the result, click on the preview tab and load the .d2v of the movie. Go back to the files tab and click on “Multiplex”. Wait until it finishes. Then use VCDEasy to burn it as SVCD. 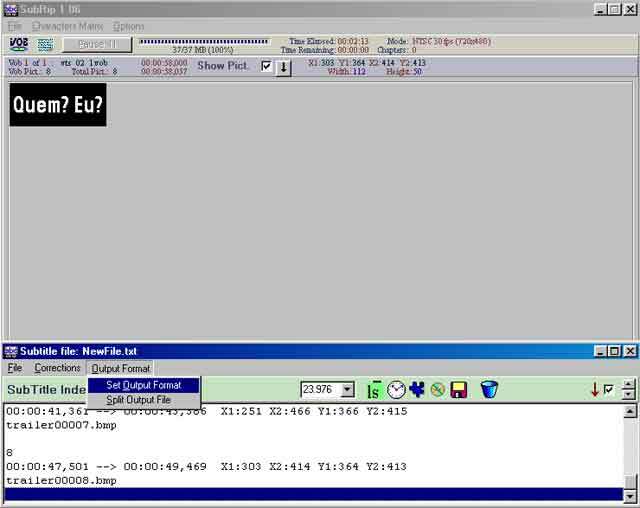 Notice that VCDEasy recognizes the subtitles stream (OGT 0 in the picture). Add chapters, etc. and burn it. Notice again that VCDEasy recognizes the subs (“Assuming CVD-style subtitles for data…”). 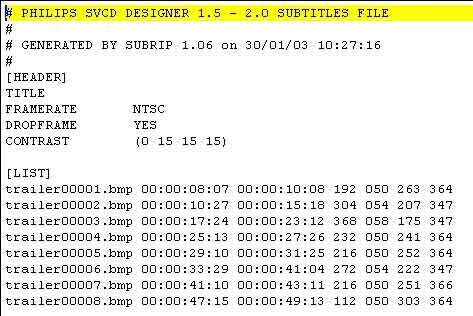 If you muxed as SVCD subtitles this screen shows “subtitles detect for channel…” instead.